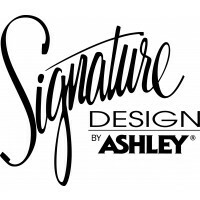 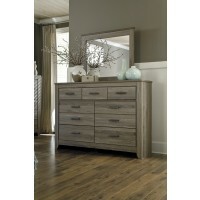 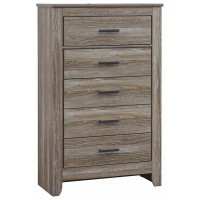 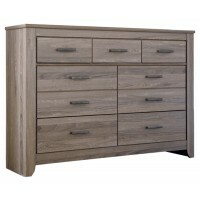 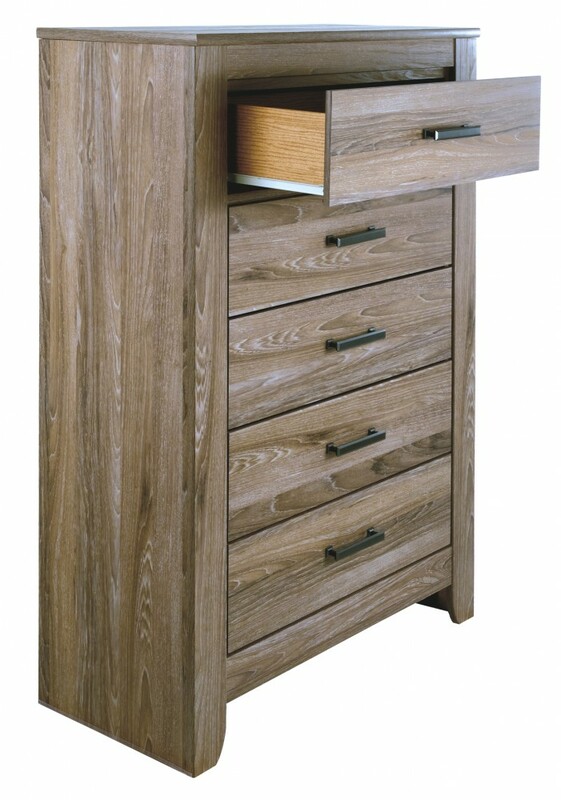 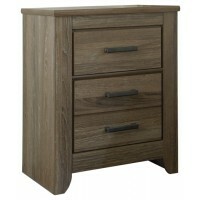 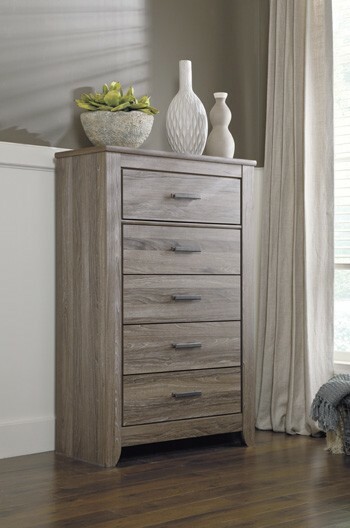 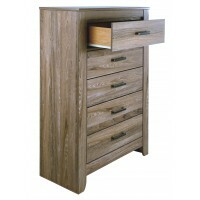 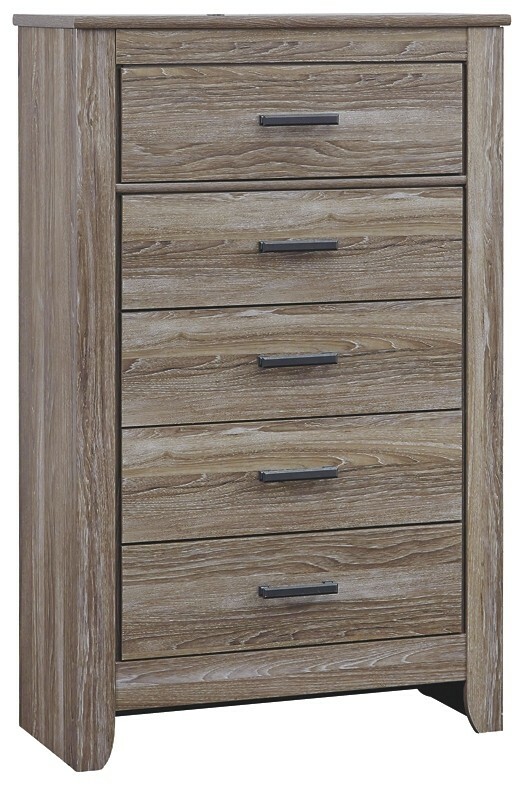 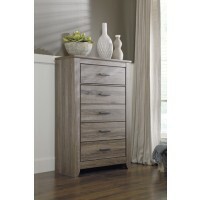 If effortless elegance is the impression you’re going for, this chest of drawers is custom made to fit your space. 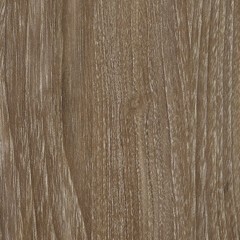 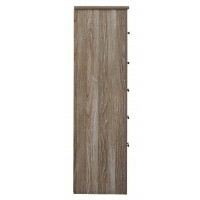 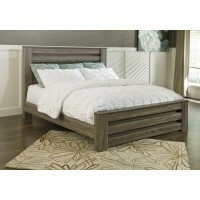 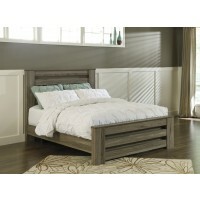 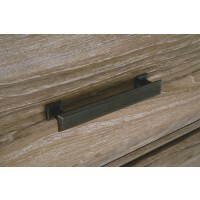 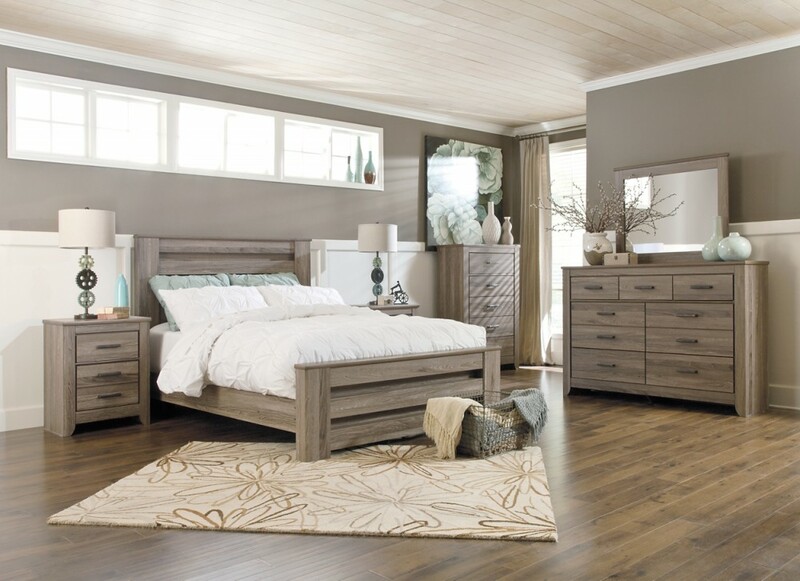 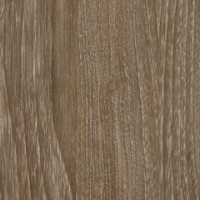 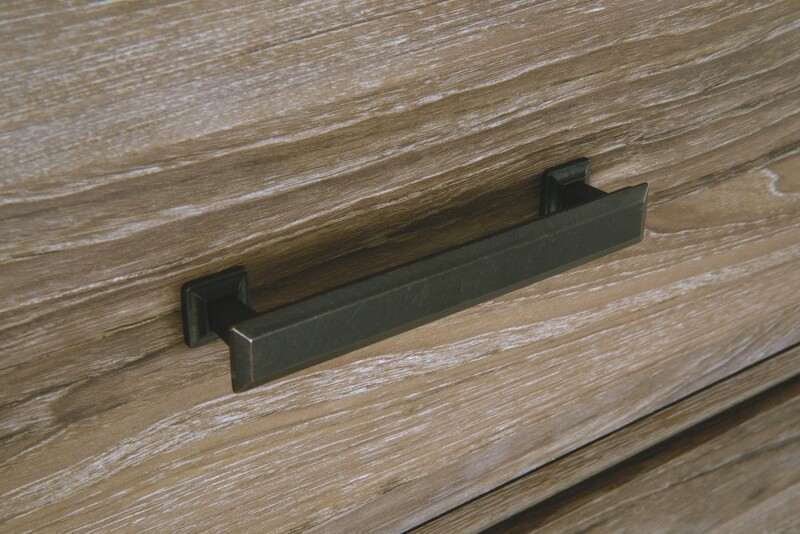 It’s got the crisp, clean lines of a contemporary piece, but with softly weathered elements, including antiqued industrial pulls and an earthy finish that lets the beauty of replicated oak grain flow through. 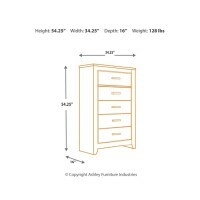 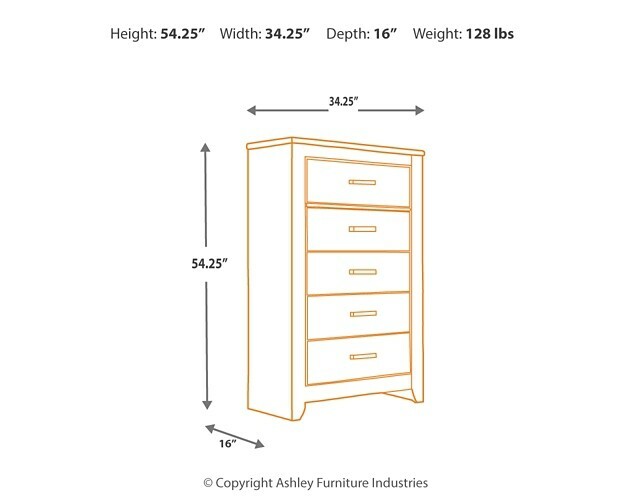 Five roomy drawers make it a wardrobe storage essential.